1. 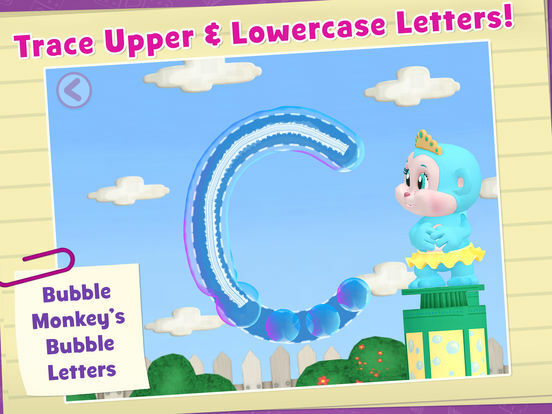 Trace and match upper- and lowercase letters with Bubble Monkey! 2. 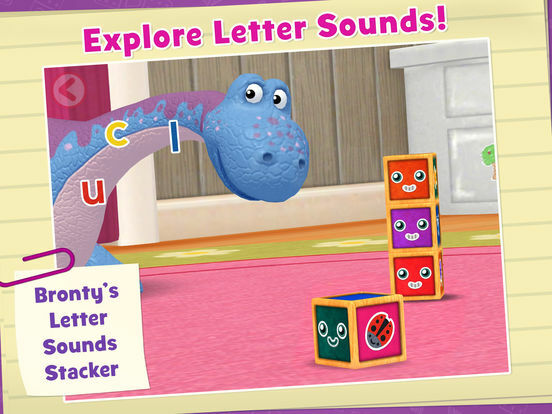 Name and recognize letters and letter sounds with Bronty and his magical blocks! 3. Search and find as you listen and match rhymes! 4. 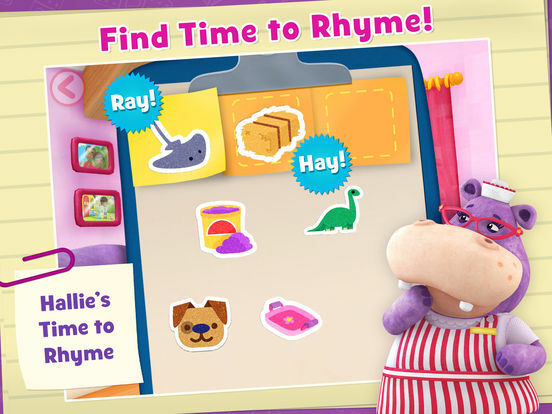 Create your own syllable symphony with Millie and Doc! 5. Help Stuffy hear beginning, middle, and ending sounds in words! • Includes 5 unique game experiences in 1 app! • Developed with literacy expert consultation. • Engaging and familiar Disney animation and favorite characters from Doc McStuffins help make reading even more fun and memorable! 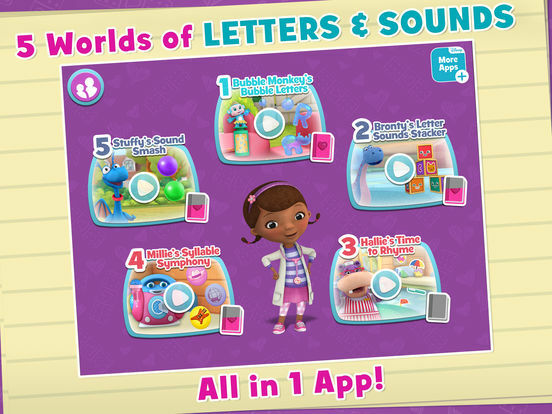 • Animated narrative videos with Doc McStuffins and friends in each game! 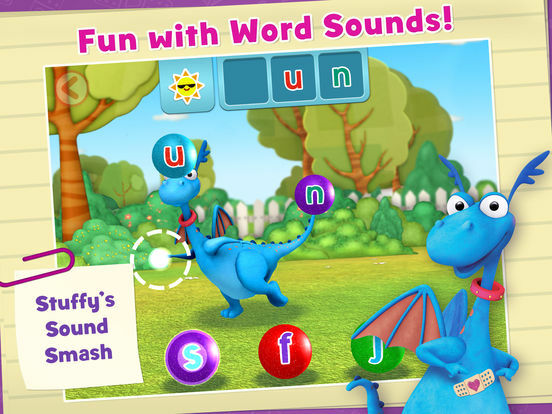 • Each game progresses through multiple levels of reading skills!